Maybe you are done with studying, just graduated and now you have to move away from home. Or your college campus. You want that fresh taste of freedom that you just can’t get at home or even at your dorms. But first-time movers often have it rough, especially when it comes to certain details they haven’t consider. 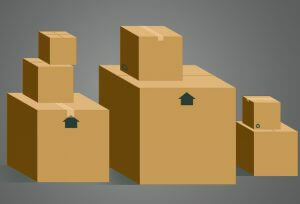 We from H2H Movers have helped a lot of people relocate, and that includes some first-timers as well. From our experience there are several things that you may miss in such a situation. So after your hire professional Chicago movers, there are certain details, of which to take care. For some reason people nowadays don’t think much about this. But it can so happen that you lose your keys, or just forget them. What then? If you don’t have an extra set at a friend, you may need to call your landlord and schedule lock replacement. Which will cost you a lot. Plus, you may still need to wait for hours, or days. So yes, get yourself an extra set of keys and give them to a trusted friend or family member nearby. While some homes may come furnished, it is also likely that you find the best apartment, only it has no furniture. Don’t fret. Even if you don’t have the budget for all the furniture you want, you can still get yourself the basics. Don’t save on a bed, for sure, and if you are going to work from home, definitely invest in a nice chair and desk. Everything else can be added later. Maybe you are used to your dad repairing everything at home. Or maybe your parents always called their more capable friends. Or just people who know how to do the job. Whatever the case is, now you are on your own. And if you don’t want to pay a fortune for small repairs around your new home, get yourself a toolbox and learn some basic repairs. It’s not heard, we promise! Interestingly enough a lot of first-time movers don’t consider exploring the area before they move. What if you like the apartment, but it turns out it is too far away from the places you like? Or even need? But even if there is everything you want nearby, you should still know how to get to it. So exploring the neighborhood is an absolute necessity. You don’t want to create a bad first impression. So it is up to you to approach your neighbors and show them you are friendly. We know this may be a bit scary for some of you introverts out there, but it is still the right thing to do! Cross Country Moves on the Cheap – Is It Possible?